Copyright seems like a fairly straightforward concept: a person owns their own original content, or “intellectual property,” and others must acknowledge that ownership (by seeking permission) to use that property for their own gain. 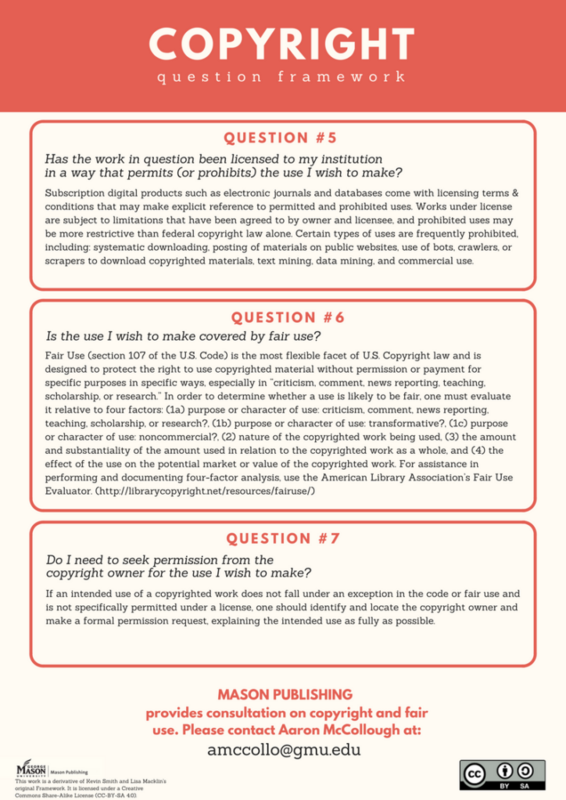 Mason Libraries are here to help you make informed decisions about how best to use copyrighted materials and about how to manage your own rights in work you’ve created. 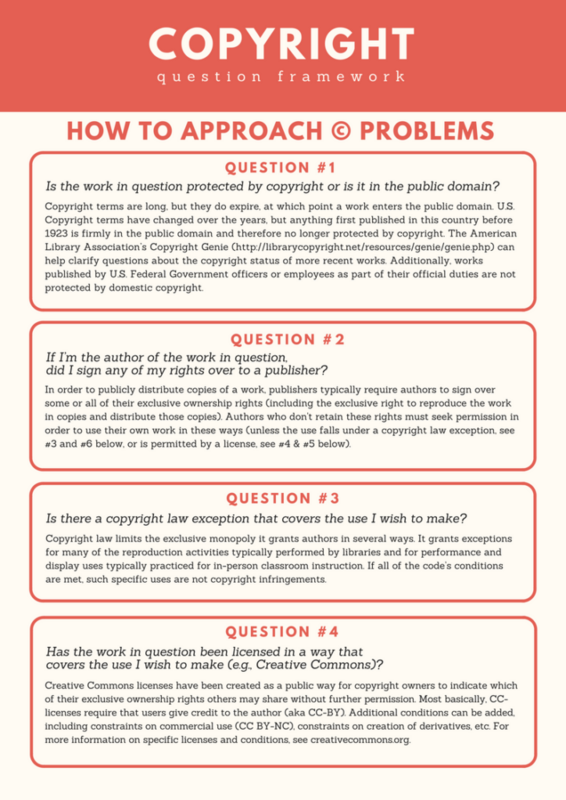 For a step-by-step, online approach to analyzing most copyright questions, you may consult the Copyright Question Framework infoguide. For a downloadable PDF version of the framework, scroll down. 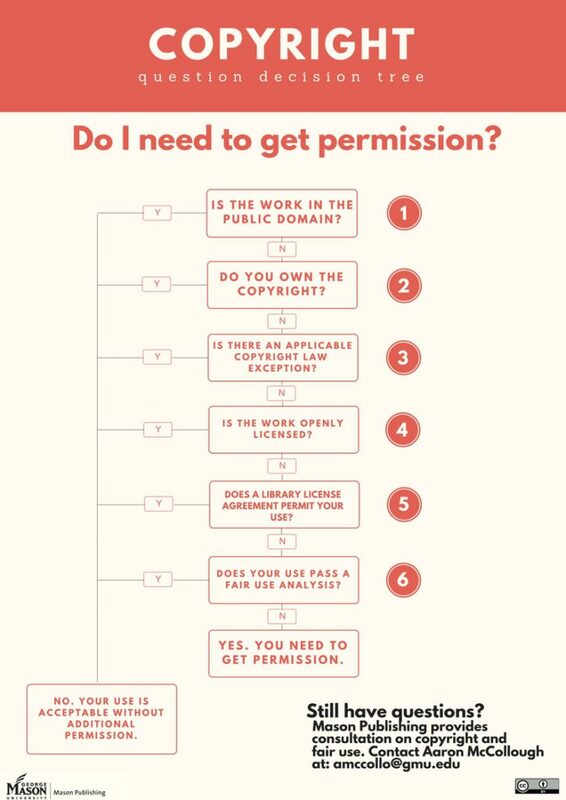 Figuring out whether you have the right to use an article, image, video, etc. depends on several factors.